It's back to square one in the search for a San Diego mayor, but hopefully not for pedestrians in our city. 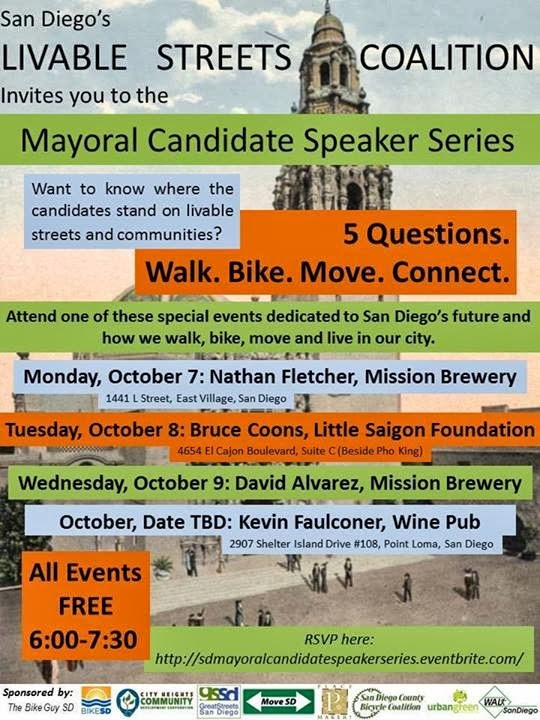 If you'd like to learn more about what some of the leading candidates have to say about walking, biking, and livable neighborhoods, check out one of these upcoming mayoral forums, many of them conveniently held at local breweries. Register here.